Never enough money to pay all the operating expenses, much less buy new equipment? 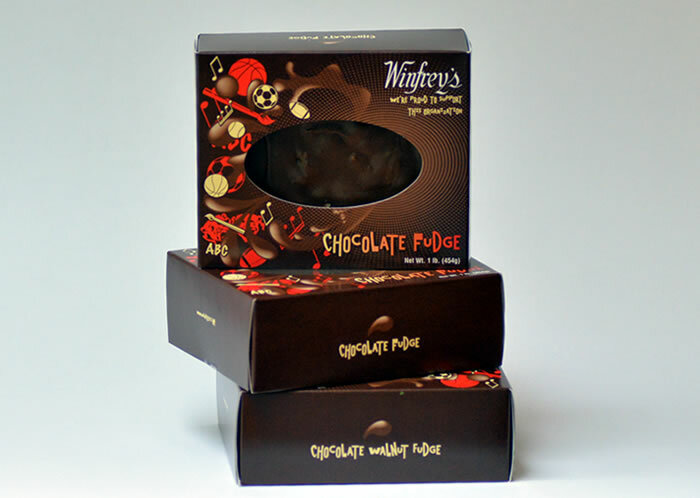 Winfrey's Fudge and Chocolates can help with our highly successful fund raising program. Year after year, the "Fudge Fund Raiser" at your organization will be a welcome treat for those who sell and those who buy. For over 15 years, Winfrey's Fudge and Chocolates has been offered to local non-profit organizations. Our fund raising program has helped to buy new uniforms for Pop Warner Football in Swampscott, resurface soccer fields in Danvers and helped to pay for ice time costs for Agawam Youth Hockey...all sorts of necessary and costly expenses. Call us at (978) 948-7448 for a no obligation consultation. We'll help you sharpen your objectives and project a fund raising goal that bests suits your organization. At the very least, you will be able to sample some of New England's finest fudge. At most, you and your organization will have the necessary funds to carry out a real program for good athletics, great music, or beautiful art...rather than worry if there is enough money in the treasury. We have found that organizations usually have the same people doing all the work time after time. In this fund raiser, everyone in the organization participates...because it is fun and easy with lots of success for everyone.